put on a truly exceptional show. 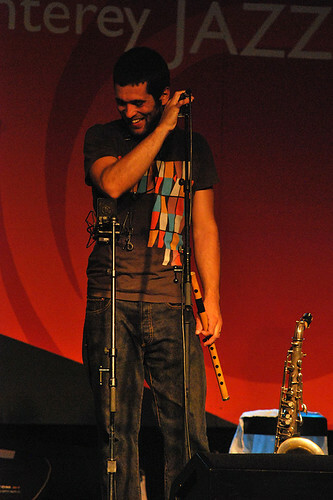 Forro in the Dark, by Mike Rainey Though their music doesn&apos;t have the same sound, Forro in the Dark&apos;s music at its core has a boisterous sense of fun best compared to Australia&apos;s Cat Empire. Their music is an interesting fusion of Brazilian and Western sounds, with a little bit of surf guitar thrown in. It may not sound instantly danceable, but Forro in the Dark was the only band on Friday night that had a crowd dancing in front of the stage. Forro in the Dark, by Mike Rainey This is a band that truly gets into its music. They couldn&apos;t resist dancing to their own music (nor, as mentioned earlier, could the crowd), and their percussionists practice full-body drumming. They&apos;re electric to watch, and energized the previously sleepy late-night crowd. Forro in the Dark are touring throughout the rest of the year - keep an eye out for when they&apos;re coming to your area. 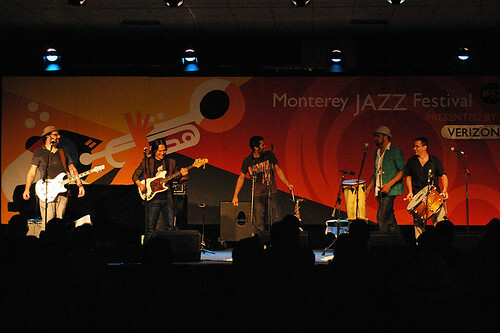 For all our coverage of the Monterey Jazz Festival, see our Monterey Jazz Festival category.